Arena Builds for Several Scenarios ! Arena Builds for Several Scenarios ! Actives - Take Beads and then choose one ! Each one of these is super strong on Nemesis ! My most commonly built items ! Vs heavy Crowd Control teams. Vs. Magic Heavy Comps ! Squishy Assassin Build - Very fun build ! Alternate - Squishy Assassin build ! Your team has no Guardian. Tank - You still do a lot of damage, while having 3500 health ! ZhangLaoshi - Cdr build that is used by a Good Nemesis Arena player. This guide is a work in progress and hopefully will be a living and breathing document (constantly updated to remain current) dedicated to the most BAE of Assassins in Smite. I will be updating this guide very frequently, and hopefully in a few months this guide will be the Arena guide Nemesis deserves. Please leave suggestions on content I could add / use to help out those who are seeking it. Hi, my name is Executioner and I am new to Smite and probably not the most qualified person to be a guide author. I am just a average player like many of you. With that said, the vast majority of my experience with this game has been in Arena and playing as Nemesis. I see a lot of new players picking Nemesis (best looking assassin imo) and building recommended items or glass cannon and simply failing to ever be a factor (outside of feeding) in the game. This guide (hopefully) will assist new players attempting to learn Nemesis and her various Arena play styles. I created this guide because when I was new to Nemesis, I could not find a guide that contained the information I needed. Most of the guides were outdated and contained irrelevant or inaccurate information or focused on game modes not named Arena. My current Stats with Nemesis as of 12/16/2015. If you are new to Arena or new to Smite you really need to familiarize yourself with the information in these guides. The authors of these guides have gone to great lengths to explain in great detail almost everything one could ever hope to know about Smite. Pffft, Minions is a Arena guide created by TormentedTurnip and you would do well to study it so that you have a good working knowledge of the game mode before attempting to succeed with Nemesis. The Tome of Athena is a list of links to some of the greatest guides ever written for Smite, The Tome of Athena was created by KingScuba a forum moderator on the Smite forums. Anyone serious about improving in this game would do well to click that link and study those guides. The guides contained in The Tome of Athena are written by many different authors and KingScuba has went to great effort to give proper credit to the authors of the guides contained there in. Nemesis is Bae is the short answer, continue reading for the long version. If you are picking Nemesis for Arena game play because you (for some reason or another) think she is strong or overpowered you are in for a surprise. Nemesis greatest strength in Arena is how mobile and flexible she is. 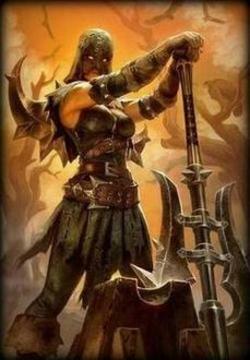 Nemesis is not an Assassin and Nemesis is not a warrior, she is something in between these and can excel as either. Nemesis lacks hard crowd control and has a very weak early game. Team fighting is the main theme of Arena and Nemesis kit is lackluster for a game mode such as this. This does not mean Nemesis is bad in Arena, she actually performs quite well in Arena if you are able to adapt on the fly and be what your team needs as much as possible. Some games your team will need a squishy assassin but the vast majority of the games your team will need bruiser Nemesis and that is why this guide was created. Late game in Arena Nemesis is an absolute beast if she is built in the bruiser style I am recommending in this guide. To carry as Nemesis (in Arena), you are forced to build tanky enough to auto attack people to death while usually taking damage from more than one source. Data Mined upcoming Nemesis skin ! Her abilities and how to use them ! Scales of Fate is a awesome passive that helps to solidify Nemesis as a great duelist. Swift Vengeance is primarily useful for mobility and not damage. The most intelligent way to use this ability is to save it to get away from trouble, using this to engage a fight or to attempt to finish off an enemy could prove fatal and is something I would highly recommend you do not do. I prefer to have this ability set to quick cast. You should max this ability last. Slice and Dice is Nemesis only non ultimate form of Crowd Control (2s slow if hit in the middle) and her primary wave clear tool. This ability can be pretty good for peeling for allies and is very good at "securing" kills. Managing this spell in team fights well can lead to victory for your team. I prefer to have this ability set to quick cast. I max this ability second after Divine Judgement. Center = Slow and more damage ! Retribution is a fantastic spell that has a lot of synergy with Shield of the Underworld (active) and Hide of the Nemean Lion(item). Be cautious of available enemy crowd control when using this spell as crowd control will cancel the shield. This spell is yet another reason Nemesis is an excellent duelist. I prefer to have this ability set to instant cast. I max this ability third after Divine Judgement and Slice and Dice. Tip: You can bead offensively to protect Retribution, this is a very effective tactic. Divine Judgement is the best ultimate in the game and makes her almost impossible to duel. Early game Nemesis is pretty much only a Ult bot, this is due to her being a melee auto attack god that is item dependent. I prefer to have this ability set to quick cast. You should max Divine Judgement first when possible. Divine Judgement is one of the best ults in the game for dueling but the ult also allows you to select any enemy God and virtually assure there demise in a team fight. You need to make sure your team understands the power of your ultimate and how it can be used for the teams benefit. Make sure you inform your team that when you ult a enemy that every person on your team should be hitting that target for the next 4 seconds. Your team wide damage on that target will be massive and a kill should be extremely easy. Instantly dropping full build tanks with your ultimate and team wide coordination is extremely satisfying and I hope you soon experience this same satisfaction with Nemesis. Divine Judgement is extremely overpowered and is basically a I win button when used in duels or with coordination in team fights. Early game: Take all 3 of your spells and leave base with the items you feel are appropriate for the game at hand. Does the enemy team have Ares? Yes, then do not leave base without at least beads 1. Proceed to the buff camps with your team and help them kill the buffs. Ideally you will allow your team to pick up the buffs because Nemesis is so weak early that the buffs will make very little difference for her. Either base and upgrade your boots or head to the middle with your team. Early game when Nemesis is weak is the perfect time to size up the enemy team. Notice who is overly aggressive and who is passive on your team and the enemy team. Notice how the enemies use there important spells like crowd control. Notice which direction (right or left) your enemies prefer to move. Picking up on small nuances such as these early can be a deciding factor later in the game. If your team has good wave clear you should hold on to slice and dice to peel for your team or to damage enemies. If your teams wave clear is lacking you should assist with Slice and Dice (Never use Swift Vengeance (1) to clear minions). Mid Game: Now that you have a couple items completed and a good idea of what your team and the enemy can do, you can begin to make some plays with Nemesis. I cannot tell you exactly how to play this or any part of the game, because every game is different. Remember the early game when you were weak and watching the game around you unfold ? Now is the time that information will be critical to your success. (A)There will be games where the most effective strategy is to hang near your team and ult and attempt to kill the initiators from the enemy team. Usually this strategy is best when you notice your carries are aggressive (meaning they will be willing to fight back against engage). This strategy is even more effective when the enemy carries are playing safe or passive. Nemesis excels at killing tanks and warriors, she was created to do this and there will be many games where you need to abuse this fact. However, if you use this strategy the enemy carries will be free to target whomever they like while your carries are feeling pressured from the enemy engage. If you use this tactic you should be able to discourage the enemy aggressors from engaging unless they know your ultimate is down. (B)There will be games where you are more effective ignoring the enemy engage and walking into the enemy team to damage / zone carries. If you are able to successfully do this and get a kill or just force a retreat of 1 or more enemy carries you have performed admirably. That whole time the enemy teams damage was focused on you, the enemy guardian / warrior are in a 1 or 2 vs 4 scenario that they should lose. I can not tell you how many times I have picked up kills on low health and fleeing initiators after I was done zoning the enemy damage. (C)If your early items were damage focused or you do not feel tanky enough, then you could approach this fight as any smart assassin does (from behind). There will be a fair amount of games where you can circle around the buff walls and approach the enemy damage from behind. This is a devastating tactic if they do not notice your approach. Late Game: You are now extremely hard to kill and are doing obscene damage, you are the scariest God on your team. There are very few Gods who dare stand before late game bruiser Nemesis, most of those that do pay for there hubris in blood. You should be able to kill anything you want at this point of the game as long as you are able to play around enemy crowd control. A brief explanation behind the recommended builds at the start of the guide. With this build you have 2.08 attack speed and over 2800 health. You have a slow, life steal , penetration and you are doing 8% of your targets health per second. If you reach this point in a game, you should be terrifying to your enemies. You have utility, sustain and are somewhat tanky, everything you need to do your job. Self explanatory, enemy team all has some type of hard cc and you know you cannot avoid all of it. Any god that can take your mobility from you is a serious threat and should be treated as such. This build is highly recommended vs gods such as Nox. There are quite a few different physical protection items that could be placed into this build for different desired effects. This one has Midgardian Mail for the slow and the attack speed slow, you will miss Frostbound Hammer a lot less and have good dueling potential. There are other options against mostly magical damage teams as well, I find Pestilence to be pretty overpowered. It counters life steal, health regeneration, healing abilities and actives. My favorite assassin build, this gives you enough damage to assassinate anything. Tanks and soft targets alike will fear you. Alternate critical strike focused assassin build. This build works great and has a lot of pretty big numbers. I find the Rage Qin's Sais combo from the previous build to be more flexible. You need to build Ninja Tabi in this build where the previous one allows you to build Warrior Tabi if desired. Your team has no guardian, but you still want to win the game. The auras from Sovereignty and Heartward Amulet are much more powerful than you probably realize. You should play the boots that best fits the game at hand, most likely Ninja Tabi or Reinforced Greaves. As long as you have The Executioner and Qin's Sais you are a serious offensive threat as well. You will do more damage with this build than you realize. Scales of Fate + The Executioner gives you solid damage. Use Divine Judgement wisely and you can post a really nice kda with this build, not to mention actually winning the game. Obviously trying to play a assassin / warrior as a tank is not optimal, it can be fun and is more effective than you might realize. Most of my builds lacked any significant cdr (and I needed to get a build up with some cdr because it is very good on her) and BranMuffin suggested this build to me in the comments below. Already familiar with most of the items I knew it would be solid, I tried it out and liked it. This build is good to use verse teams with balanced damage and a lot of crowd control and slows. A build copied almost directly from the Nemesis arena player with the second most wins on Nemesis in arena. I am constantly working to improve myself with Nemesis and this includes researching builds and trying them for myself. This particular build I have found to be very good throughout the game. The player I copied it from uses Warrior Tabi instead of Ninja Tabi, I prefer the better attack speed. You can not take the punishment with this build that you can with some of the bruiser builds I listed above, but this build is very good and you should try it for yourself. This build is very well rounded and not as good vs specific things such as guardians / tanks as a qin build. This build gives Nemesis 2600 health, 1.88 attack speed and 35% cdr. This section will almost always be a work in progress. Mainly you will need to build Nemesis as a bruiser to be most effective in Arena. The goal of the bruiser builds in this guide is to get Nemesis to the highest possible effective health, while still bringing game changing damage to the table. You will need to focus on items with attack speed, resistances and health. The build listed at the top of the guide is the most common build I use, but I build every game based on the game at hand and you should do the same. The following is a list of items I like using accompanied by a brief explanation on how good it is and who to build the item against. Tip: Clicking on any one of these sections will open a list of items with my opinions of the items strength and when it should be built on Nemesis. 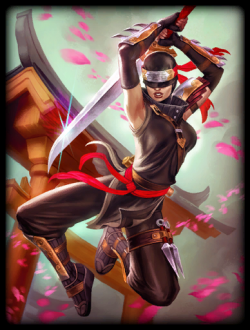 Ninja Tabi This is the best boot choice for Nemesis, better than Warrior because of the attack speed and Nemesis is a auto attack based Goddess. Attack speed scales so much better on Nemesis than raw power does. Build these in at least 50% of your games. Reinforced Greaves These boots are far better than people give them credit for and you should use them vs teams with a lot of hard crowd control which for me is around 30% of my games. You should build these in 100% of the games the enemy team has a Nox, as it is just so easy for her to destroy you with cc. I would recommend following these up with Spirit Robe in games where the enemy team has a Nox. Warrior Tabi These boots are a good choice as well and in some games where you find yourself over the 2.00 attack speed threshold it would be a good idea to replace the Ninja Tabi for these. You should be building these in around 20% of your games. Breastplate of Valor Build this for cool down reduction and Armor, item has no health so I do not build it very often. Item really should only be considered for the cheap cdr as protections without health to back them up is not very good. If you know you are going to build a good bit of health (other items) and desire cdr this item is a excellent choice. Hide of the Nemean Lion: Excellent item, has great synergy with most of Nemesis kit. This item in conjunction with Shield of the Underworld and Retribution is very good. This item is great vs all hunters, auto attack based gods and also some mages such as Sol, Chronos and Freya. This item is never a bad buy. Void Shield Solid offensive item with protections and flat protection reduction. Lacks health and is very pricey so I rarely build this item. Midgardian Mail Very good defensive option that can proc enemy Winged Blade leaving them with no way to counter your slows when it matters. This item combos extremely well with Frostbound Hammer. Mystical Mail Solid defensive item that does magic damage to soft targets that is very comparable (early game) to the passive damage of Qins. Can be a good pick up but is very expensive and Nemesis does not have magic pen to make full use of the aura. Build when needed or if your team is full physical (the enemy will not be building magic protections). Build this when the enemy team has a Loki that is out of control, the aura will not reveal Loki but you will see the damage numbers and know his general location and actually be able to track and possibly even kill him if he was low enough. You do not need this verses Loki (Nemesis guts him), you build this item to assist your team. Mail of Renewal A staple item on Nemesis in game modes not Arena. While not being a bad item for Nemesis the passive is just outclassed by other passives in Arena where you can base frequently with little to no loss for your team. I build this item occasionally, when I feel it is warranted to do so. Witchblade Build this if you decided to build Warrior Tabis or you need more attack speed or physical protections. The aura on this item is very good, better than most people realize. Shield of Regrowth This item is garbage on Nemesis as the passive no longer procs off of Retribution, this is a design decision according to HiRezCAPSLOCK and should no longer be considered a bug. Never under any circumstance build this item. Pestilence Build if enemy team has significant healing abilities. A extremely good item vs any god with sustain such as Xing Tian or Hel. Ancile Solid item that offers everything Nemesis needs. Health, cdr, Magic Protections and physical power. Somehow this item feels lackluster and I rarely buy it. Runic Shield Excellent item against gods such as Freya, Sol and Chronos. When not building for those specific Gods this item feels lackluster just like Ancile. There are better choices only build this to counter the aforementioned Gods. Bulwark of Hope Fantastic item, has magic protections and a ton of health but is very expensive. The passive can be fantastic, but it is also easily wasted. This item pairs very well with Asi, the passives from these two in conjunction with Retribution can offer insane healing and durability if timed well. Stone of Gaia I rarely build a purely Magic Protection item but when I do this is it, unless the enemy team has heals. This item has the most Magic protections in game and some health while offering a huge amount of innate sustain (since I try to have at least 2800 health on Nemesis). Hide of the Urchin My go to, first defensive item. This is the best defensive item in the game (my opinion). It gives 250 health and mana and when fully stacked (every single Arena game) gives 65 Magic and Physical Protections. This item is simply to good to pass up and probably should be nerfed. A lot of games this is my only pure defensive item and the vast majority of games this is my only Magic Protection item. I build this item in 90% of my games. Spirit Robe Another fantastic dual protection item. Super good against teams with a lot of crowd control, pairs well with reinforced greaves. Magi's Blessing Solid item because you are able to ignore 1 cc. Cooldown on the cc ignore is to long and the protections received is to low to justify building this item often. I only build this item in games where I am doing very well and no one else on my team is a real threat (they will be 100% focused on Nemesis). Qin's Sais You will build this on Nemesis in 75% (or more) of the games you play (if you are wise). I see people building this item early in games and I feel this is a mistake, the passive does a lot more damage late game than early game due to the size of the enemy health pools. Rage I build this in around 35% of the games I play, more fun than Qin but the two items damage is about the same. This item is slightly better vs soft teams and Qin is a lot better vs tanky teams. When in doubt build Qins. Asi Excellent early game dueling item that can be bought early and sold later on when it is less relevant. I do not get this very often. This item has a lot of synergy with Retribution and can be used to heal massive amounts of damage in a 1 v 1 scenario (which is not common place in arena). This item is good in Crit builds and Shred builds. Ichaival Excellent early game dueling item that will need to be sold late game for something relevant. I do not get this very often, although the synergy with Scales of Fate is undeniable. This item is good in Crit builds and Shred builds. Hastened Fatalis As much as I like this item, over multiple games it has proven to be less effective than a bruiser item in its place. Item can be used in Crit builds and Shred builds but is outclassed in those builds as well. This item is very fun on Nemesis, build it for fun with the knowledge that other items are actually better. Jotunn's Wrath A core item on Nemesis that is very hard to fit into her bruiser builds, build in games where you will only need 1 defensive item such as Hide of the Urchin or if using the ZhangLaoshi build from the top of the guide. Brawler's Beat Stick: Great item against healing teams, has penetration also. Only build when needed. Frostbound Hammer I build this in 60% of my games. Usually the games I do not build it in are games I am forced to take additional protections or some silly hunter built this and I need Winged Blade. Soul Eater I build this in 85% of my games. This item has health, attack speed, life steal and a aura that gives myself and my team more physical power and physical protections. Another item that is slightly over tuned and in need of a nerf. Winged Blade Great item, I used to primarily build it to counter build the other teams stronger members. The more I build this item, the more I love it. I find myself building this more and more frequently. Runeforged Hammer Great item that has physical protections and health. This is a good item to pick up when you need more protections and more power and can live without the passives from other armor items. Actives are often over looked by newer players, but quite often are the deciding factor in won and lost team fights. Selecting the correct actives and using them at the best time is a large part of getting better with Nemesis and in Smite in general. Greater Purification (Beads): Build this in 99% of your games, you already know why. Hints: You should not view Greater Purification as only a defensive item. This item is fantastic for offensive game play and is one of the deciding factors in how aggro I play. This item makes you immune to crowd control for 3 seconds, this is a fantastic offensive tool. This item removes 3 seconds from the cooldowns of all of Nemesis spells, using this has gotten me so many kills that otherwise would have escaped. The 3 second cc immunity can be used to protect Retribution or possibly to go SUPER Aggro on a high priority target. Shield of the Underworld Great item, build against teams you believe you can use it effectively against. Such a insanely good active on Nemesis, should be built in 50%of your games. Add a Hide of the Nemean Lion with this active and hunters will flee in terror from you (not to mention the synergy of this active and Retribution ). This item makes it impossible for Gods who rely on Auto Attacks to duel you, they have no choice but run (and pray). Shell of Absorption Very under rated active. Fantastic for dueling and for team fights, getting one of these early game when Nemesis is still weak and using it for duels and team fights is SO good. This active wins so many games, and most people do not even realize it is even there. Build this in around 30% of your games. Enfeebling Curse Great active for games you can not build Frostbound Hammer or games you find yourself needing peel for your team. Heavenly Agility Outclasses greater sprint in every way possible. Great vs gods with slows or to counter a enemy active. Weakening Curse Build vs healers. Combat Blink You do not need this, but it is still extremely good. Fist of the Gods Can be useful but is greatly outclassed by the other actives. Final Thoughts and Credits ! Hopefully you have found this guide helpful in your quest to master my bae Nemesis in Arena, if you have ideas or suggestions on how to improve this build guide then please feel free to leave a comment. My intent is for this guide to be a living breathing guide that constantly evolves to reflect the state of Nemesis and the game itself. I 100% would love your feed back on how to improve this guide. Thank you so much for the read and good luck in Arena, if the enemy team has a Nemesis you will need it ! Zilby Thanks for the tips on picture adjustment and on how to center text and pictures ! TormentedTurnip and Jordenito for creating and maintaining Code Blue: BBCoding for Beginners it has been extremely helpful to me. Maybe at some point I will be able to use some of the more advanced tactics in the guide! KingScuba for his compilation of amazing guides, The Tome of Athena. BranMuffin17, ty for suggesting the Muffin CDR build. It is a welcome addition to the guide and should be helpful for me and others learning to live the Bae Life in Arena. Thanks for all of your helpful suggestions. I also wish to thank all of the Smite forums users who helped me learn how to be effective with Nemesis in Arena, you can find the names of those who helped me and see my progress through out this forum thread. Nemesis - How do you build and Carry with her ? Glad you like it, although its a typical build for assassins now. Reinforced Greaves can be good if your going bruiser, but in conquest jungle you need more power early on for ganks. Otherwise in any other mode its good. 103459 GameGeekFan Glad you like it, although its a typical build for assassins now. [[reinforced greaves]] can be good if your going bruiser, but in conquest jungle you need more power early on for ganks. Otherwise in any other mode its good. CDR isnt the only way to go, sometimes I go without it. Hide of the Urchin works if you get it early. Bruiser builds can still work on her. A typical build that can work on her really well. Thanks for the guide! I love the tank build I use it all the time in arena its a lot of fun and I may only die like 2-3 times a game if that. 103223 DragonMuze Thanks for the guide! I love the tank build I use it all the time in arena its a lot of fun and I may only die like 2-3 times a game if that. Is CDR the only way to go now? How can we still play bruiser without soul heater and with hide of the urchin nerfed? Exe, found a new cover picture for your guide!!! If you want to include many builds for Nemesis you should probably put some glass-cannon builds. Well, I had my first bad Nemesis game last night...0/3/16, called a noob, laughed at for buying Ninja Tabi. The two people (Beard & x3khaleesi) swore that to be effective, Nem needed the following build: Warrior Tabi, Jotunn's Wrath, The Executioner, Rage, Deathbringer. Think the last item was Spirit Robe to max CDR, but can't remember for sure. To be honest, our team wasn't a great comp. we had Xing Tian, Fenrir, Osiris, and Ah Puch. Other than AP, no crazy burst, as everyone but AP was built at least partial bruiser. I should have either gone full assassin/squishy, or played as Freya. I was also super random with the ult...don't know what was wrong with me. Wasn't really thinking, I guess. Ended up with lowest damage on my team. I finished Qin's Sais 4th after Ninja Tabi, Spirit Robe, and The Executioner to help my damage output, but even with QS, didn't seem to do that much damage. Merc destroyed me. Still, making a huge deal between Ninja and Warrior seems middling...only a difference of 20 power, which isn't much on each basic attack hit or on her abilities. But I couldn't support it with results...think I want to build more lifesteal, and try some crit next time, just to see. @Kid, attack speed buff may be a very good argument...as per above, others swore on Jotunn's. Have to try it...like I said, you sacrifice one thing for another, but perhaps it's not a huge issue subbing for Winged Blade as you said. Makes sense. First let me say Nox you should strongly consider Reinforced Greaves whenever you see one of these nasty creatures. Those people that did not like Ninja Tabi would have liked Reinforced Greaves a lot less but that is irrelevant. 0/3 on Nemesis is not that bad. I did that a day or two ago, every game is different. I had a game a month or two ago where I was 1/3/19 and carried so hard it was unreal, I played amazing. I just did not get killing blows, we won that game because of how I built and how I played. I have had a ton of games where I was 11/1/8 or some other good score and I literally did nothing relevant, I made no plays that gained my team any real advantage. Usually when the later occurs is games I am built to squishy and can not impose my will upon my enemies. 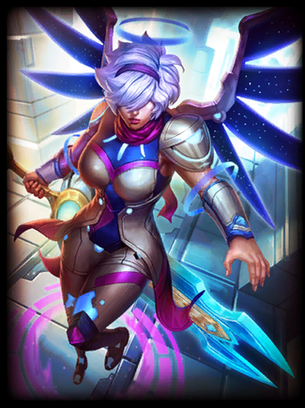 Let me end by saying Nox, this god is built to destroy Nemesis and Gods like her. If you see a Gem of Isolation on Nox make sure you have a Winged Blade and Greater Purification. The two gods that roll my stomach when I see them on the loading screen are Nox ALWAYS and Poseidon if he is good. Also try the bottom build on the suggested build page, I have around 10 games with it now on my smurf and on Executioner and It is really solid despite having no protections (im shocked tbh). 101606 Executioner4Life [quote=Branmuffin17] Well, I had my first bad [[Nemesis]] game last night...0/3/16, called a noob, laughed at for buying [[Ninja Tabi]]. The two people (Beard & x3khaleesi) swore that to be effective, Nem needed the following build: [[Warrior Tabi]], [[Jotunn's Wrath]], [[The Executioner]], [[Rage]], [[Deathbringer]]. Think the last item was [[Spirit Robe]] to max CDR, but can't remember for sure. To be honest, our team wasn't a great comp. we had [[Xing Tian]], [[Fenrir]], [[Osiris]], and [[Ah Puch]]. Other than AP, no crazy burst, as everyone but AP was built at least partial bruiser. I should have either gone full assassin/squishy, or played as [[Freya]]. I was also super random with the ult...don't know what was wrong with me. Wasn't really thinking, I guess. Ended up with lowest damage on my team. I finished [[Qin's Sais]] 4th after [[Ninja Tabi]], [[Spirit Robe]], and [[The Executioner]] to help my damage output, but even with QS, didn't seem to do that much damage. Merc destroyed me. Still, making a huge deal between Ninja and Warrior seems middling...only a difference of 20 power, which isn't much on each basic attack hit or on her abilities. But I couldn't support it with results...think I want to build more lifesteal, and try some crit next time, just to see. @Kid, attack speed buff may be a very good argument...as per above, others swore on Jotunn's. Have to try it...like I said, you sacrifice one thing for another, but perhaps it's not a huge issue subbing for [[Winged Blade]] as you said. Makes sense. [/quote] First let me say [[nox]] you should strongly consider [[reinforced greaves]] whenever you see one of these nasty creatures. Those people that did not like [[ninja tabi]] would have liked [[reinforced greaves]] a lot less but that is irrelevant. 0/3 on [[Nemesis]] is not that bad. I did that a day or two ago, every game is different. I had a game a month or two ago where I was 1/3/19 and carried so hard it was unreal, I played amazing. I just did not get killing blows, we won that game because of how I built and how I played. I have had a ton of games where I was 11/1/8 or some other good score and I literally did nothing relevant, I made no plays that gained my team any real advantage. Usually when the later occurs is games I am built to squishy and can not impose my will upon my enemies. 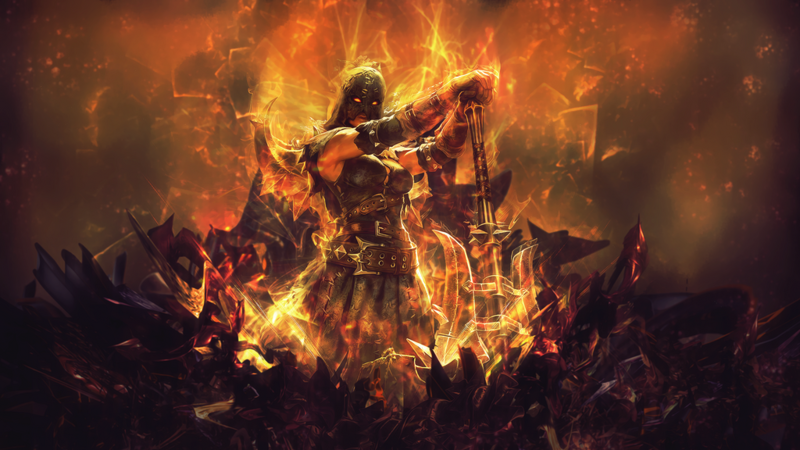 Let me end by saying [[nox]], this god is built to destroy [[nemesis]] and Gods like her. If you see a [[Gem of Isolation]] on [[nox]] make sure you have a [[winged blade]] and [[greater purification]]. The two gods that roll my stomach when I see them on the loading screen are [[nox]] ALWAYS and [[poseidon]] if he is good. Also try the bottom build on the suggested build page, I have around 10 games with it now on my smurf and on Executioner and It is really solid despite having no protections (im shocked tbh). 101605 GameGeekFan If you want to include many builds for [[nemesis]] you should probably put some glass-cannon builds. @Muffin, I often play a build similar to the fore mentioned build. It's a more agresive Critter bases build the Spirit Robe should be bought before the Rage+ Deathbringer. On the Freya side of the story, Freya is Wifey.lol Nemisis is my side chick.lol I'm a diamond Freya player, and Bellona for that matter. 101604 KidFreshTL34 @Muffin, I often play a build similar to the fore mentioned build. It's a more agresive Critter bases build the [[Spirit robe]] should be bought before the [[rage]]+[[deathbringer]]. 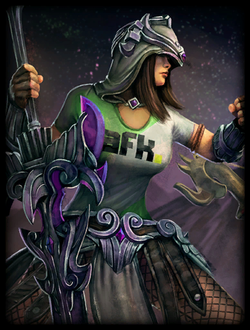 On the Freya side of the story, [[Freya]] is Wifey.lol [[Nemisis]] is my side chick.lol I'm a diamond Freya player, and Bellona for that matter.